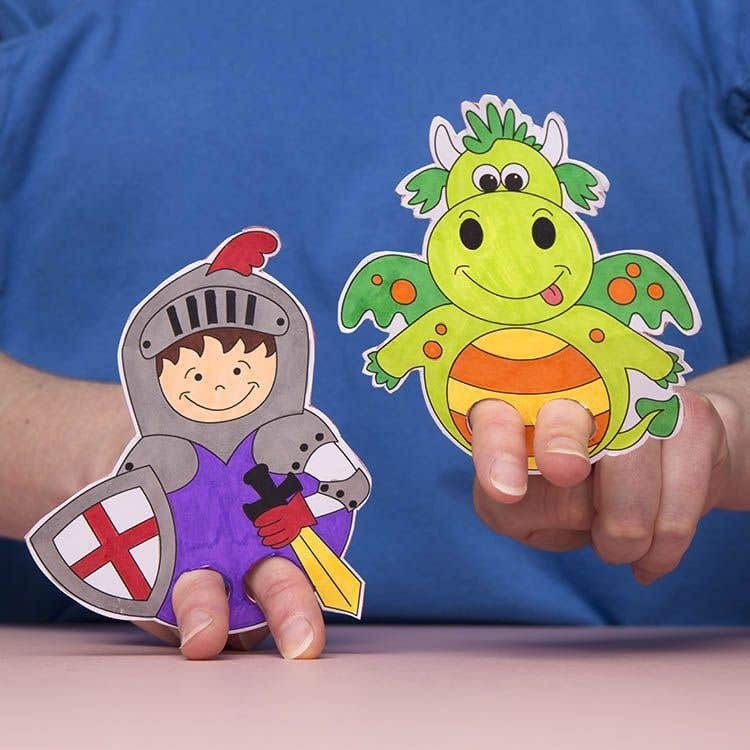 Kids can create their own version of the roaring tale of St. George and the dragon with these fun to make finger puppets. Download the template and print onto white paper. 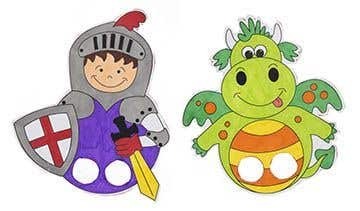 Cut out the characters and stick them onto a sheet of A4 white card using a glue stick. Cut out the characters from the white card. 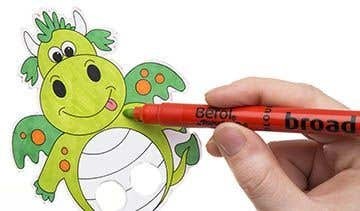 Then cut out the circles outlined in red where you put your fingers through. Colour in the characters using fine tip fibre pens. 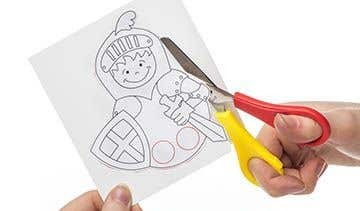 Get an adult to cut out the finger holes as this could be tricky for a youngster to do with scissors.